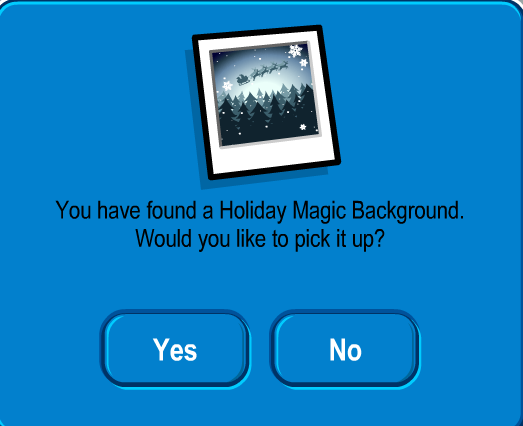 Club Penguin Cheats by Mimo777 Club Penguin Cheats by Mimo777: Club Penguin Christmas Party FREE item...Holiday Magic Background! 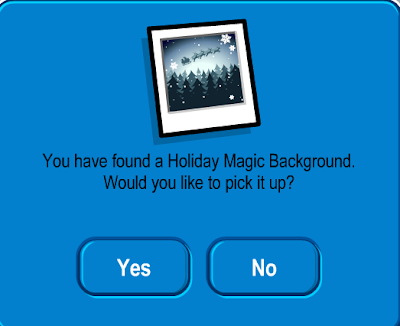 Club Penguin Christmas Party FREE item...Holiday Magic Background! The December 24th new Club Penguin FREE item from the 12 Days of Free Gifts in the Forest is here! Just another background! Boo! Hats or other clothing items are so much more fun! Am I right? No, this is the best background ever. Mimo, more coins at lighthouse. mimo its even better tommorow, (christmas day) you get a gingerbread suit! This is a great background! But you can see that they haven been rotating between hats, backgrounds, and pins (in that order. By tomorrow we will have four of each, I believe. Although I would like to get a pair of shoes or a neck item sometime. But I think that the advent calender was a fancastic idea! I'm enjoying the party. Happy Christmas Eve! when your sending a letter to aunt arctic, do u put ur penguin name or do you make a name up? also do u hav to put dear aunt arctic? BTW how can you sit straight? i only sit diagonal! Mimo you shouldnt complaint. at least we are getting 19! free gifts in total. yoou gotta be great full ITS CHRISTMAS. so be greatfull :) just saying. MERRY CHRISTMAS!!!!! at least it is better than a pin!